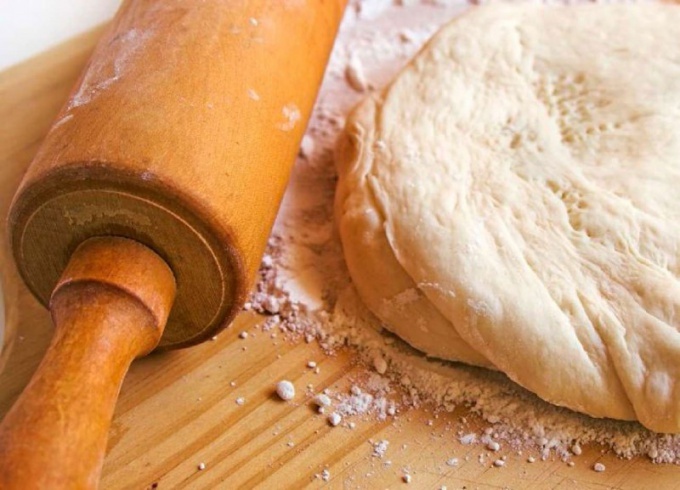 Fresh dough suitable for making ravioli, dumplings, pies and other dishes. Kneading it in several recipes, but in any case you want to use eggs, because without them it will not work elastic. First sift the flour together with the baking soda and salt through a fine sieve. Add to these ingredients the sour cream and mix everything carefully. Next, start gradually adding water, and then crack in the egg. Mix well the ingredients, which should be thick dough. Knead it on the table, and then leave in the fridge for 20 minutes. You can then use it for cooking various dishes. Take the flour and sift. Put it in a bowl and in the center make a small indentation. There crack in the egg and pour warm water, which was pre-mixed with salt and milk. Of the ingredients in the bowl replace the dough. At the end add the olive oil. Then again knead it on the work surface and then place in a plastic bag and leave in the fridge for 20-30 minutes. Before you start kneading the dough, you will need to pull the butter out of the fridge and leave for 40-50 minutes to make it soft. Then cut it into pieces and transfer to a bowl. Add the sour cream and then mix everything carefully. You must obtain a homogeneous mass. In the bowl the main ingredients beat egg and add salt. Mix everything, and then start to pour flour. Required to obtain a homogeneous plastic dough. Then cover with a cloth and leave in the refrigerator for 20 minutes. Take softened butter and mix it with egg, salt and yogurt. Then, start adding the flour, sift it first. Of these ingredients knead the elastic dough, which is then put away for 15-25 minutes in the refrigerator.